Prior to this, Kristina worked as a lawyer in major international law firms, i.e. at Baker & McKenzie in Bangkok and Ashurst in Singapore. She ultimately left the law firm environment to gain more hands-on business experience and in-depth industry knowledge by joining one of Thailand’s major hotel chains, Centara Hotels & Resorts, where she was the Associate Vice President of Business Development and Legal Services. 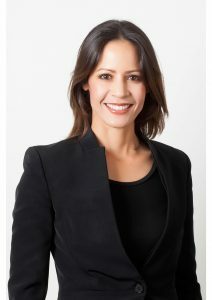 During her career, Kristina has worked on mixed-use, branded residences and other types of hospitality projects in numerous countries, including Cambodia, Indonesia, Laos, Malaysia, Myanmar, the Philippines, Singapore, Thailand, Vietnam, Qatar, Turkey, Oman, the United Arab Emirates, India and China. As a result, she is familiar with different business cultures and ways of doing business. Further, having represented chains, developers, investors and online travel agents, Kristina is uniquely positioned as someone who thoroughly understands the diverse business interests and concerns of various players in the field of hospitality. In terms of hotel related agreements, Kristina has represented developers in their negotiations and revisions of agreements with the majority of leading chains, including Marriott, Starwood, Hilton, Accor, IHG, Radisson, Mandarin Oriental, Jumeirah, Capella, Hyatt, Movenpick, Best Western and Six Senses. Apart from hotel related agreements, her recent assignments included the representation of Centara Hotels & Resorts in their acquisition of a lagoon in the Maldives, its joint venture with Nakheel in respect of a hotel in Dubai and being retained to work on various types of agreements for a major online travel agent. Kristina is fluent in English, Thai and German. She is admitted to the New York Bar and has an LLB from King’s College London and a Master Degree in International Relations from Thammasat University.